From the Manage Content tab of your boost, you will be able to add content by clicking on the +Content button in the upper right corner. Select the Add New tab to add custom content and enter your Destination URL in the appropriate field. The content that appears in the Add Content menu is pulled from the domain you entered when you created your Revcontent account. 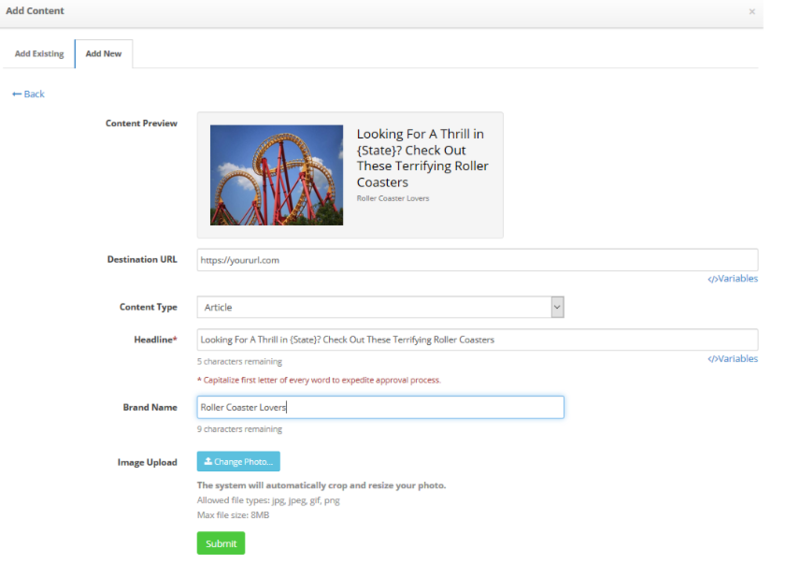 Add your Site’s existing content to your boost by simply clicking +Add under each creative you would like to use. You can view additional content by clicking Load More. 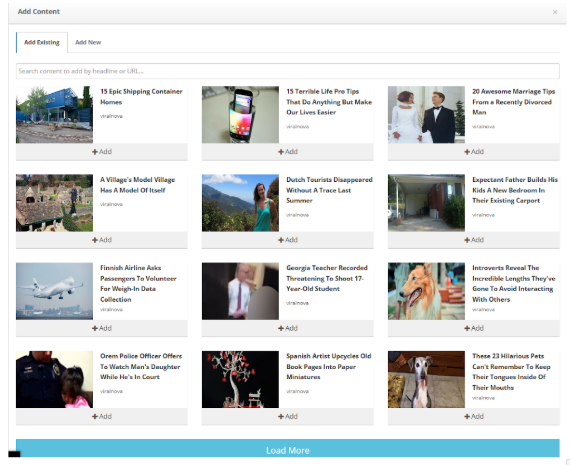 In addition, you can find content from other boosts you are running by searching the headline and easily add it to your new campaign.